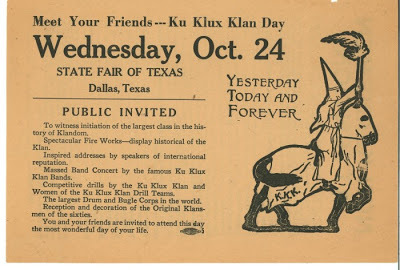 Flyer for “Ku Klux Klan Day,” October 24, 1923. 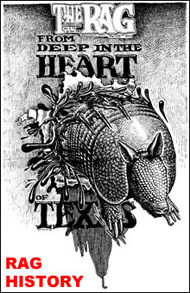 Image from The Portal to Texas History. By 1930, over 292,000 people lived in Houston, over 260,000 people lived in Dallas, over 231,000 people lived in San Antonio and over 163,000 people lived in Fort Worth — although the number of people living in Austin in 1930 was still less than 54,000. In addition, during the 1920s, “the new Klan, which claimed over 100,000 members in the state, proved powerful enough… to help elect Earle B. Mayfield, a Klansman, to the United States Senate from Texas,” the same book noted. 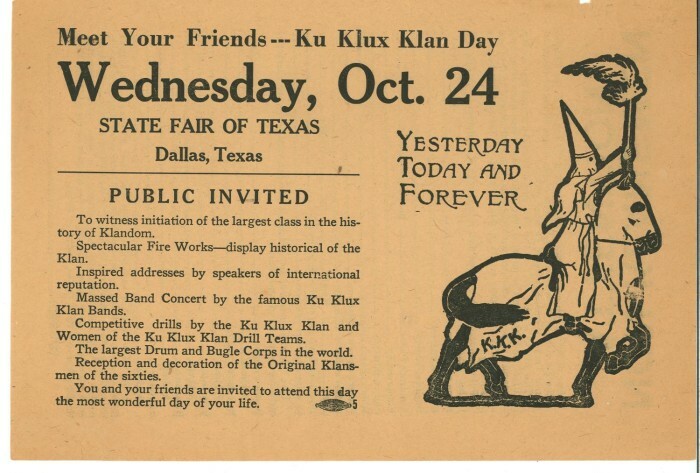 From its Houston beginning, the Klan spread rapidly across the state. In January 1922, when membership reached more than 75,000, Texas was organized as a realm of the “Invisible Empire” under its own grand dragon, A.D. Ellis, an Episcopal priest from Beaumont. That same year women… obtained a Texas charter as the Women of the Invisible Empire of America. In June 1923, 1,500 masked and robed klanswomen held a parade through Fort Worth. Eventually male membership alone stood at approximately 150,000. In 1921, Houston Klansmen, led by Deputy Sheriff George E. Kimbro, attacked and castrated a black dentist and beat a white lawyer who represented him. Several years later, the Klan tarred and feathered a black physician. In 1928, a Houston mob dragged a black man, accused of killing a white police officer, from his bed in a local hospital and hanged him from a bridge — a murder for which no one was ever convicted. 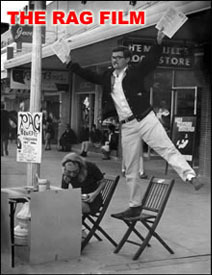 Additionally, a Klan newspaper, Colonel Mayfield’s Weekly, circulated throughout the city. In 1921, Houston ’s Democratic Party also passed a resolution “allowing only whites to vote in the upcoming Democratic primary;” and in 1923 the Texas state legislature passed a law stating that “only white Democrats and none other” could vote in primary elections, according to the same book. 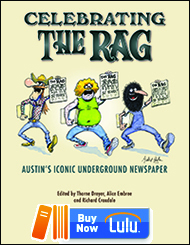 This entry was posted in Rag Bloggers and tagged Austin History, Bob Feldman, Houston History, KKK, Racism, Texas History, White Supremacists. Bookmark the permalink. I’ve always wondered why my Houston-area relatives are waaaay more racist than the others. Now I know some of the history that contributed to it. Thanks for a very good and informative article.